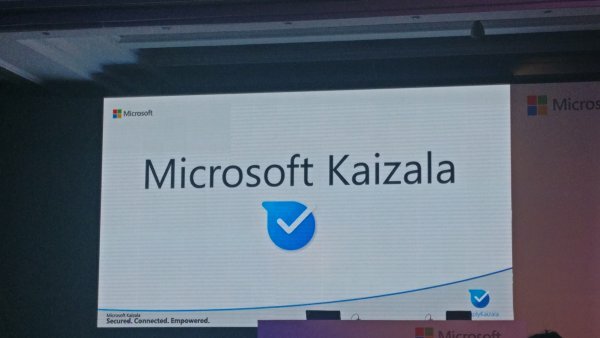 Microsoft has launched today Made for India application known as Kaizala which has been designed for enterprises to seamlessly communicate, collaborate and complete tasks and bringing together desktop users and mobile-only users who may be within or outside their organizations. Powered by Azure Cloud platform, this application has been designed for large group communications and work management, even for remote locations with 2G optimisation. Microsoft Kaizala helps organizations connect with large numbers of people inside and outside their organization, easily coordinate tasks across the value chain, and gain actionable insights. Microsoft Kaizala users can simply get connected using their mobile phone numbers as their primary unique ID. Microsoft has also launched Kaizala Pro which allows organizations to have full administrative control of their groups.Both Kaizala and Kaizala Pro are integrated with Microsoft Office 365. 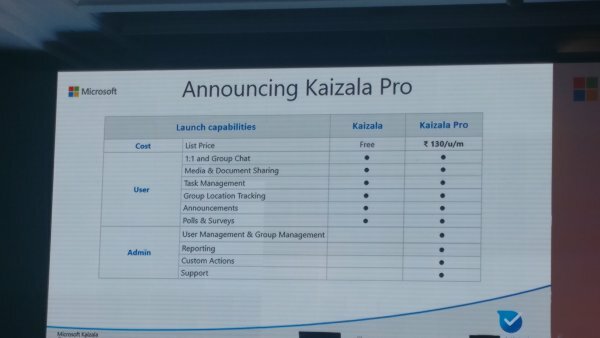 Microsoft Kaizala is available in India as a free download on iOS and Android phones whereas Kaizala Pro can be purchased at a list price of INR 130 per user per month. “Using Microsoft Kaizala, organizations can connect with their employees and the entire value chain. The product offers a simple and familiar chat interface and goes beyond to make you more productive using Surveys, Polls, Jobs, Meetings and other actions right in your chats. As we launch Microsoft Kaizala in India, we hope to help connect the unconnected parts of organizations – whether they are in large and small enterprises or in the Government. We expect Microsoft Kaizala to help with real-time coordination, enhance productivity, and ease collaboration between partners and vendors in organizations”, added Rajiv Kumar, Corporate Vice President, Office Product Group, Microsoft.